My kid’s summer vacation is coming to an end and like every year I am asking myself where the time went. It is hard to believe that another school year will start tomorrow. On my last shopping trip with kids the question arose what to purchase and pack for school lunches. I find it very hard to come up with a meal that is healthy, tasty, stays fresh until eaten and doesn’t include a boring sandwich. I also refuse to get up super early in the mornings to cook a lunch from scratch to take. 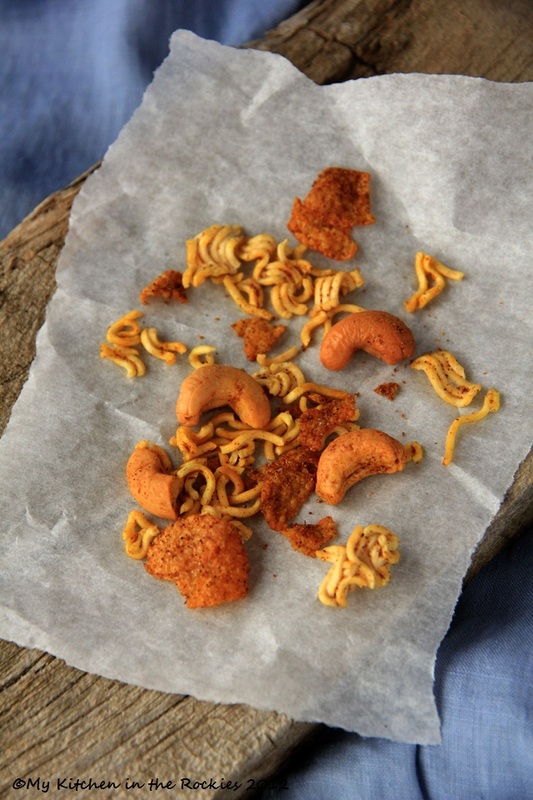 My daughter was looking through some of my cooking magazines for inspiration on her lunches and found this crunchy ramen school snack mix. Well, I know, it is not a lunch, but a start, because she also likes to take little snacks for in between classes. 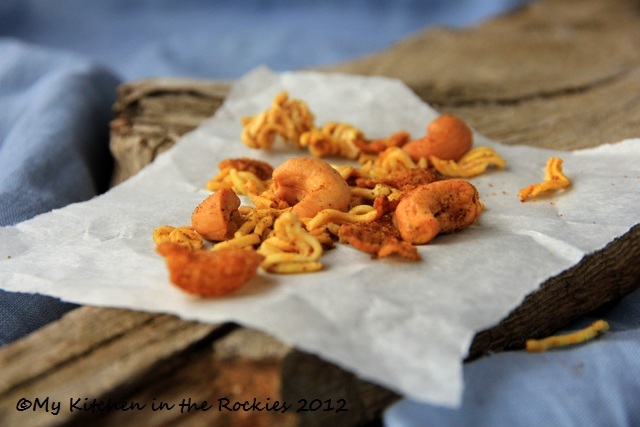 This crunchy ramen school snack mix is a mixture of cornflakes, cashews and ramen noodles. It gets seasoned with cayenne pepper and curry. 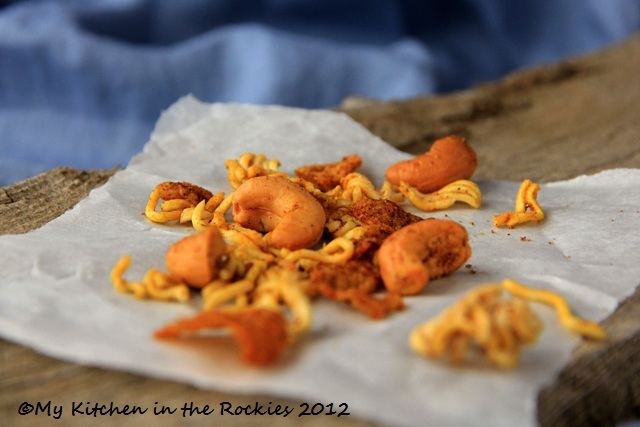 You can also add peas or any other nut to personalize your crunchy ramen snack mix to your liking. Enjoy! Preheat your oven to 400 F (200 C). Line a baking sheet with silicon pad or baking paper. Mix curry powder, cayenne pepper and salt. Set aside. Mix ramen, nuts, cornflakes and peas. Add the oil and mix until well coated. Sprinkle the mixture with the spices. Place the snack mixture in one even layer on the baking sheet and bake for 10 minutes. Adapted from my copie of everyday food magazine, issue September 2012. 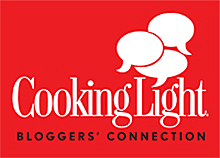 I would to link this post back to my friend Marla’s blog @ Family Fresh Cooking. She started Project lunch box. Here you will find many more inspirations to pack a healthy lunch for yourself and your loved ones. I think this is a great idea, love it! Kirsten, congratulations on becoming a U.S. citizen. I think you can buy instant packet noodles in a whole package without any seasoning, that probably works out cheaper. But dang, that sounds like such a good idea…now I know what I’ll do with the left over noodles I don’t feel like eating! I can’t believe the new school year is here already either. This looks like a great bit of fuel to keep those young minds working. Great idea. I’ve also (for me) been taking some hummus and fresh vegetables in a container. I would love to make this for my snack at school, but will have to eat this goodie at home. We aren’t allowed to have nuts at school because of allergies. That’s too bad you can’t take it to school Susan. The nuts are necessary. They balance the spiciness. They have a “nut free” eating area at my kids school. Therefore everybody else is still able to have a choice of what to eat. Well, you will have to try it at home. 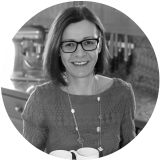 You mention cornflakes in the directions but not the ingredients – how much do you use? Oops, 1 cup. I just fixed it in the recipe. Thanks for noticing. This is such a creative idea, my kids basically subsisted on lunch bags full of snacks…by the end of high school we were all so sick of thinking up new and interesting lunches that we just gave up! Wish I had had this recipe back then!